As a kid, one used to think differently and then our education and environment changes our way of thinking. As a kid, one see the problem differently and out of the box but as we grow up our knowledge sets our mind to a particular direction and it becomes very difficult to think out of the box. Here are some puzzles made by my daughter Evanthe Gupta which kids will be able to solve very easily but adults will take lot more time than kids as knowledge makes to think about endless possibilities of simple problems. 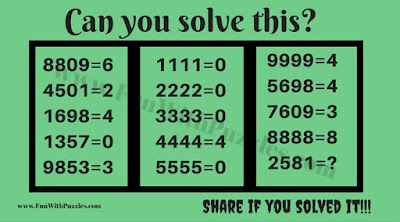 So let's solve these Simple Brain Teasers and see if you can beat kids in these puzzles? Here are all types of Mixed Out of Box thinking Brain Teasers e.g. Mathematical, Logical, Picture Puzzles, Observational Puzzles, Rebus Puzzles and Word Brain Teasers. 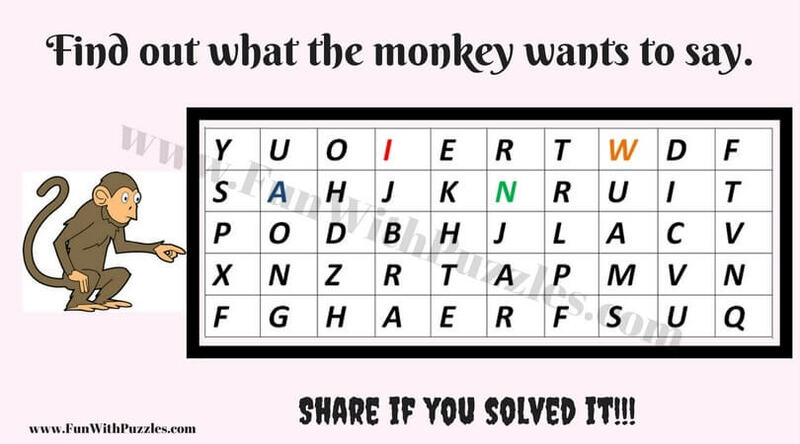 Kids will find these puzzles very easy to solve. However, teens and adults may take a lot of time to solve these puzzles. Answers with an explanation to these kids brain teaser are given at the end of this post. Let's start with this Out of Box Thinking Brain Teaser which kids will be able to solve easily but it will take a lot of time for an adult or teens to solve this puzzle. Let us see how much time you take to solve this brain teaser? 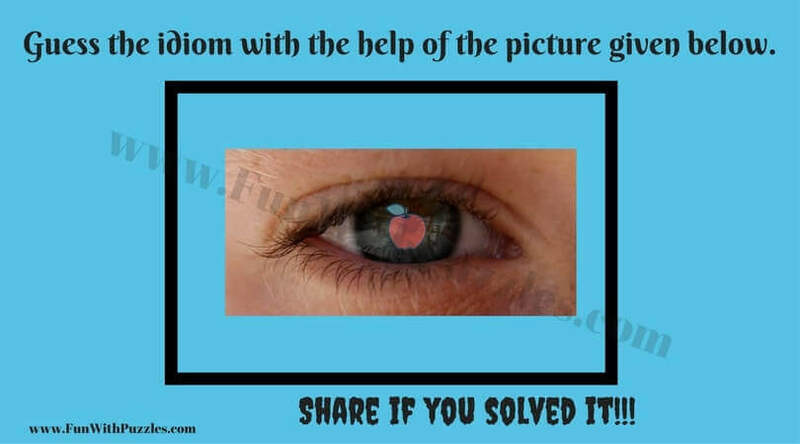 Next one is a very interesting brain teaser which was asked from the kids in the UK and most of them were able to answer this one quickly. 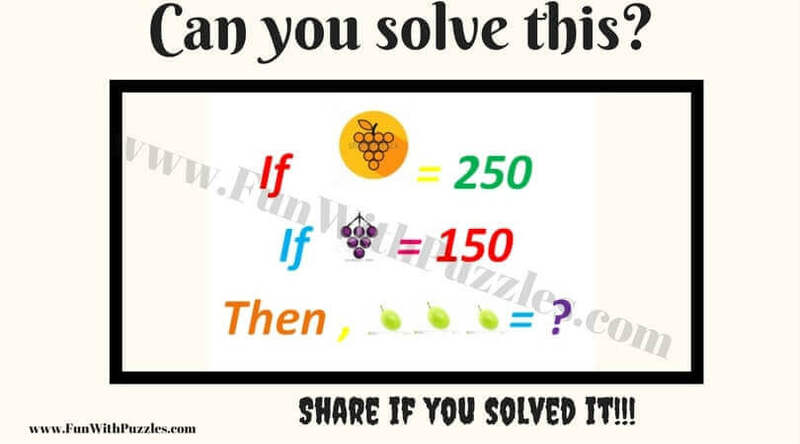 See how much time you take to solve this quick kids brain teaser. I saw a moving bus and took pictures. Challenge here is to tell in which direction the bus is moving to look at the picture of this bus as given below. 2. 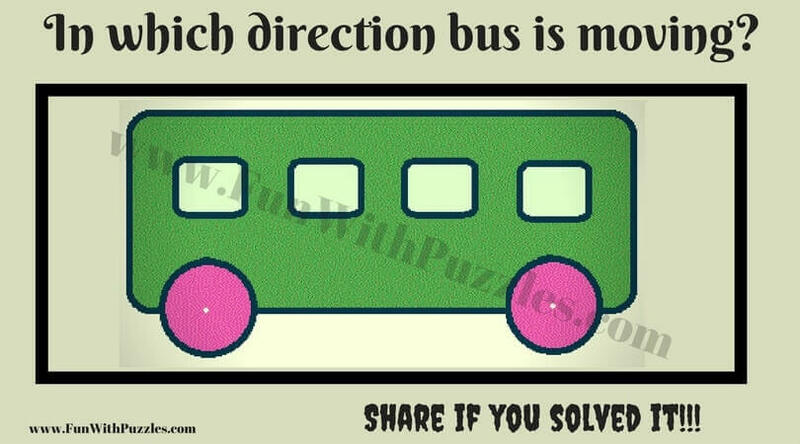 Can you tell in which direction this bus is moving? Next Brain Teasers looks so simple if we give it for solving to a kid but I have to thought for a long time while trying to solve this picture puzzle brain teaser. 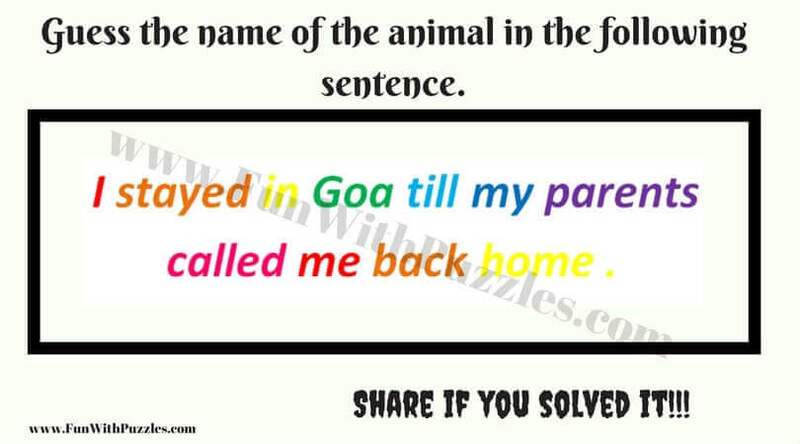 Let us see how much time you will take to solve this mind twister puzzle? 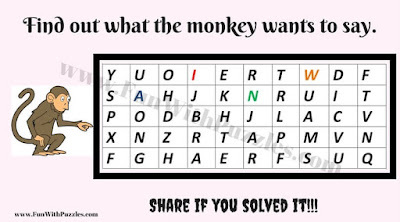 Next Kids Brain Teaser is a very interesting puzzle in which one sentence is given and your challenge is to find the hidden animal name in this sentence. Can you find it out quickly? 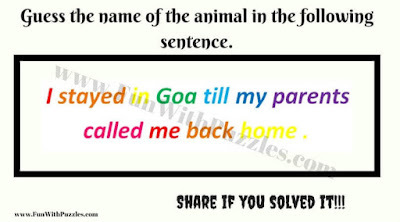 Do check similar Hidden Country name Riddles in which your challenge to find the hidden country names in the given sentences. Next Puzzle is Quick Mathematical Logical Brain Teaser in which some mathematical equations are given corresponding to picture and then your challenge is to solve the last equation. 5. 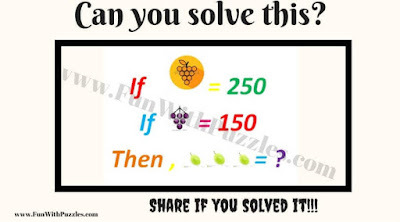 Can you solve this Maths' Equation Brain Teaser? Do check out similar Math Equations Brain Teasers in which some mathematical equations are given with pictures variable objects. You have to find to solve the last equation. Next one is a Rebus puzzle in which your challenge is finding the English Idiom represented by the given picture. Check out similar Easy Rebus Puzzles for Kids for further challenges. 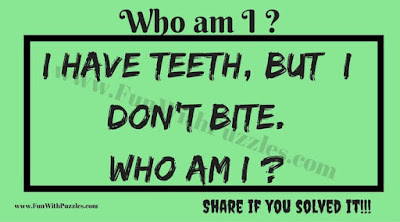 Next one is Who am I? the quick fun puzzle in which one statement is given and your challenge is to find the object is mentioned in the statement. 7. Can you guess Who am I? Check out similar Who am I? puzzles and brain teaser and keep challenging your mind. I have updated link to answer with explanation for this puzzle. Please do check it and let me know if still there is any doubt? The number of loops in the number=the answer.My Pr.I.D.E. teacher gave the class this one,took me forever but I got it.